In this Nov. 20, 2017 file photo, a Facebook logo is seen on an iPhone. Despite an onslaught of criticism and scandal, Facebook's ad revenue soared 49 percent during the first three months of the year, and daily and monthly user numbers have increased. Facebook's troubles with Russian election meddlers , "fake news " and misused data have dominated headlines globally. But they don't seem to be affecting Facebook's bottom line, so far, as advertisers continue to flock to the service in droves. Facebook's revenue, which largely derives from ads, soared 49 percent to $12 billion in the first three months of the year, the company announced on Wednesday. Profit jumped 63 percent to $5 billion. And despite a buzzy "DeleteFacebook" online campaign, both daily and monthly user numbers increased. More than 1.45 billion people check Facebook at least once a day, a 13 percent increase from a year earlier. Facebook is the second largest digital publisher in the world, behind Google. It raked in $39.94 billion in 2017 — about 17 percent of total online ad spending, according to data firm eMarketer. What makes Facebook is so attractive to advertisers? It's the very data at the center of its recent privacy scandal. Advertisers rely on the reams of data Facebook collects on its 2.2 billion users to specifically target their ads — baby shampoo to someone who is likely a new mom, for example — thus increasing the value of their ad spending. But Facebook has been facing backlash about how it uses that data since news broke in March that the Trump-linked data-mining firm Cambridge Analytica had gained information on up to 87 million users. Since the story broke, there have been some rumblings that advertisers would flee the platform. A few companies, including the German bank Commerzbank and speaker-maker Sonos, temporarily paused their ads. If other brands had followed, that would have been a big problem for Facebook, which gets a whopping 98 percent of its revenue from digital ads. But advertisers have shrugged off the scandals in the aggregate. In fact, according to one digital media planning and buying company, ad spending has been up. The company, 4C, tracks $250 million in actual spending from more than 1,000 brands that use its tools to buy ads. According to its data, over the two weeks in March after the Cambridge Analytica news broke, ad spending increased 7 percent and 14.5 percent, respectively. And for the first quarter, which ended March 30, advertising spending rose 62 percent, 4C said. Of course, $250 million is a drop in the bucket compared to Facebook's $39.94 billion in 2017 advertising revenue. But the 4C numbers give some indication of how smaller brands are behaving. 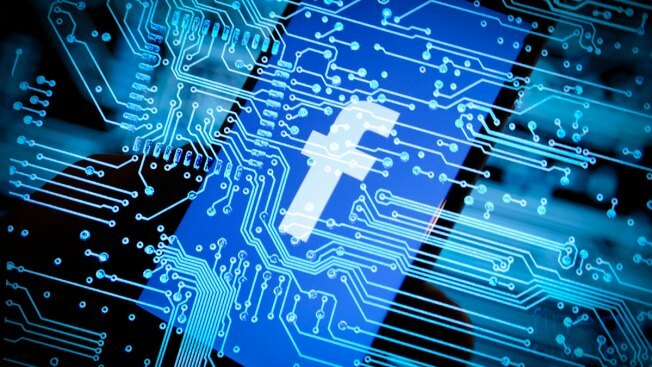 4C chief marketing officer Aaron Goldman said that as long as data continues to be a key part of advertisers' plans, they're unlikely to leave Facebook because of the quality of its data. "While privacy and security are very serious issues that Facebook is rightly focusing on, as long as the return-on-investment is there, advertisers won't stop investing in Facebook altogether," he said. Brian Wieser, a senior research analyst for advertising at Pivotal Research Group, said his conversations with marketers indicate none have plans to cut ads from Facebook so far. "Most are disturbed at an individual level with what happened, but there's nothing that made Facebook overly toxic — yet," he said. Some analysts are modeling slightly less rosy takes going forward, however. GBH Insights analyst Daniel Ives thinks that about 3 percent of Facebook's total advertising revenue — between $1 billion and $2 billion annually — is "at risk." According to GBH's advertiser checks and consumer surveys, about 15 percent of FB users have scaled back on using the service. BMO research analyst Dan Salmon thinks there is one privacy issue that might give advertisers pause: Facebook's decision in March to stop working with third-party data collectors . That might be a good public relations move, he said, but it's a big change for advertisers. After conversations with ad agencies and ad tech companies, Salmon believes some will see a decline in the profitability of their ads as a result of the change. But he doesn't expect a major impact on Facebook revenue. Overall, Facebook digital ad revenue overall is surging, but growth is slowing down. Ad revenues rose 49 percent in 2017, but that's down from 57 percent growth in 2016, according to eMarketer, which tallies revenue from company reports and other sources. And in 2018, revenue growth is expected to slow even further to 22 percent. After years of unfettered spending on digital ads, some big advertisers have begun to rethink their spending plans. P&G, the world's biggest advertiser, for example, cut $200 million out of its digital ad spending in 2017 and reinvested it in more traditional formats like TV ads. Unilever, the second-biggest consumer packaged goods company has also said it is evaluating its ad spending.